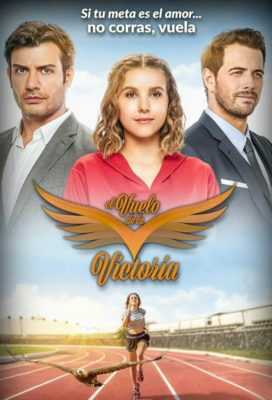 The telenovela follows the story of Victoria a young runner who finds in athletics a way to make sense of her life and will fight to get a place in the Olympics. are you going to finish this novela? Great site. The only thing I don’t like are the obscene commercials. Almost X rated. Could do without those. I miss your beautiful work . Where are the episodes? Plz bless us. Thank You so much. Ok im waiting and dying at the same time . Plz tell me something or when its possible? When are You going to uplaoded? I know u have a life too but i just want to thank You guys for doing this for us. Gracias mucho . I cant watch it, even after trying the different servers. It keeps saying, error loading file, file can not be find. Hello, are you sure you have changed the server correctly? What servers did you try?